A New Kind of Wine Crush! – It's Wine By Me! A New Kind of Wine Crush! 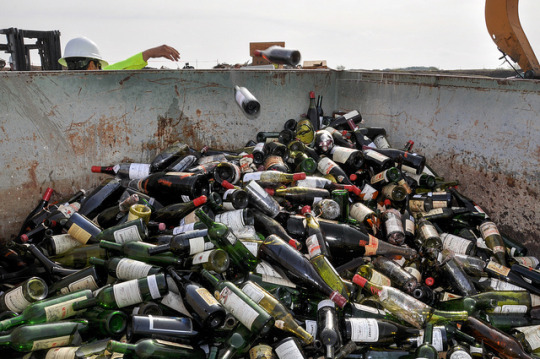 More than 500 bottles of wine found to be counterfeit or unsellable are destroyed at a landfill in Creedmoor, Texas, Dec. 10, 2015. The wine was from the private collection of Rudy Kurniawan, the man convicted of fraud in federal court in 2013 for producing and selling millions of dollars of counterfeit wine. The U.S. 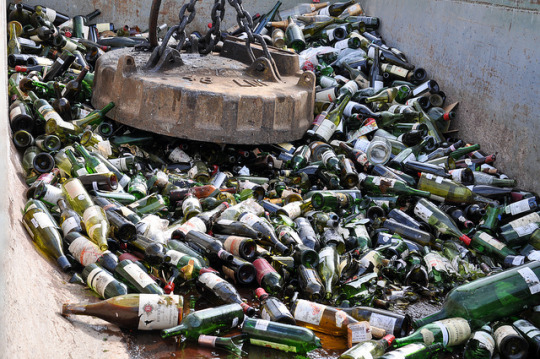 Marshals were responsible for destroying the counterfeit and unsellable wine and selling the authentic wine. 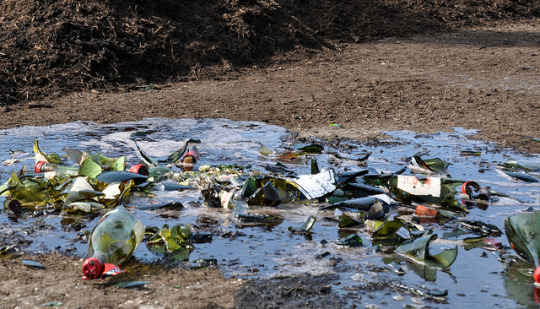 At the destruction, the wine bottles are crushed by a crane, and the glass is collected for recycling on site. 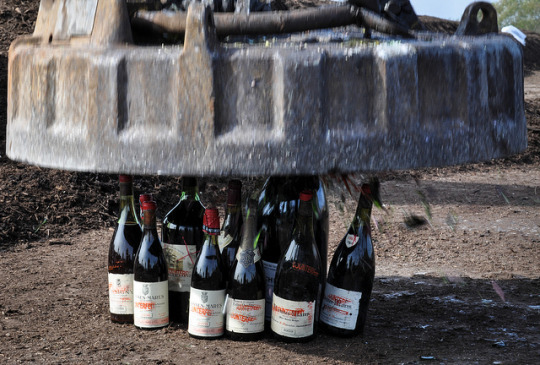 The liquid contents of the bottles are collected and composted. 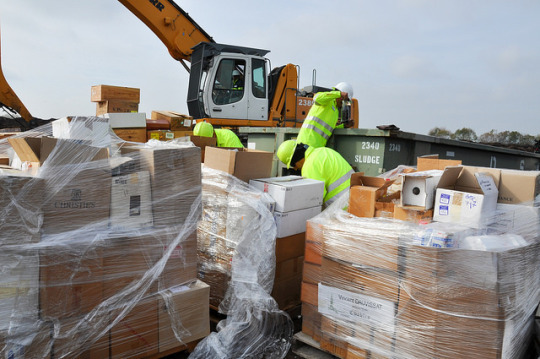 The cardboard and wood from the boxes and pallets are also recycled or composted.